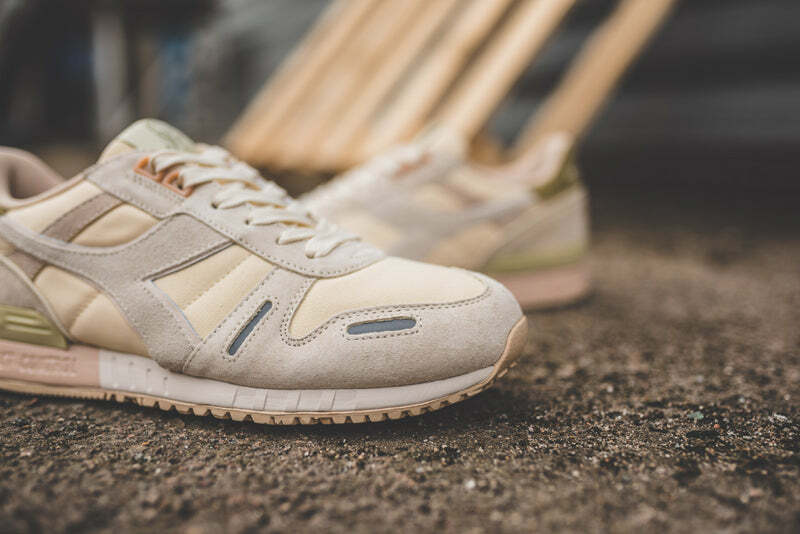 Diadora continue on the Detective theme with this new pairing of N9000 & Titan silhouettes. 1970’s detective Baretta was the last one to get the homage and this time it’s turn of LAPD’s very own Columbo. Taking the trademark outfit of trench coat, shirt, chinos and tie worn by Peter Falk as colour inspiration, the beige and khaki palette fits these two shoes perfectly. The homage doesn’t end there though as the Lieutenant’s Peugeot’s registration plate gets a call out on the heel embroidery in the form of “044 APD”. His trusty Basset Hound companion “Dog” (he was a great detective, naming pets not so much) gets his face embossed on the tongue of the N9000 and embroidered on the Titan and a full image of him makes up the midsole.